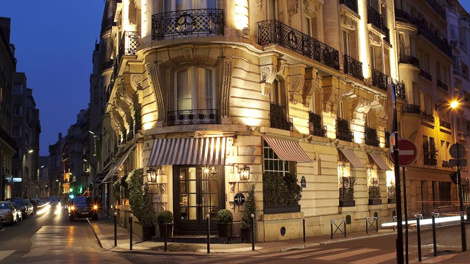 Starwood has added two Paris hotels to its Tribute Portfolio brand, the first French properties to join the collection. Le Metropolitan and Le Doukhan’s are both located in the 16th arrondissement of the French capital. Le Metropolitan is housed within a 19th century Haussman-style buildinga and features a swimming pool and wellness centre, while Le Doukhan’s (pictured below) features an original Louis Vuitton lift cabin and the city’s first Champagne Bar. Launched in April 2015, the Tribute Portfolio is Starwood’s 10th brand, and is described as “a collection of exceptional independent hotels and resorts”. The first property to join the Tribute Portfolio in the UK was The Great Northern Hotel in London’s St Pancras (see news September 1, 2015). Aside from Paris and London the collection currently includes properties in Royal Palm South Beach Miami, London, Las Vegas, Palm Springs, Jakarta, and Hokkaido. For a look at some of the new independent hotel collections created by major hotel groups, see “United by Difference” in the November 2015 edition of Business Traveller.